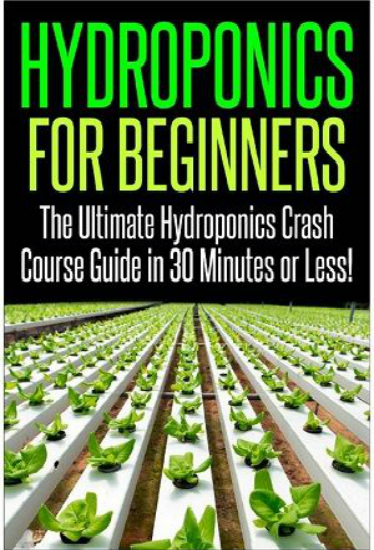 Hydroponic growing is catching up with many weed, flower and vegetable farmers from across the globe. It is both interesting and beautiful. It is also versatile as it comes with many growing methods. The method, which entails growing crops in water rather than in soil, is not really a very new concept as it dates back to 600 B.C. 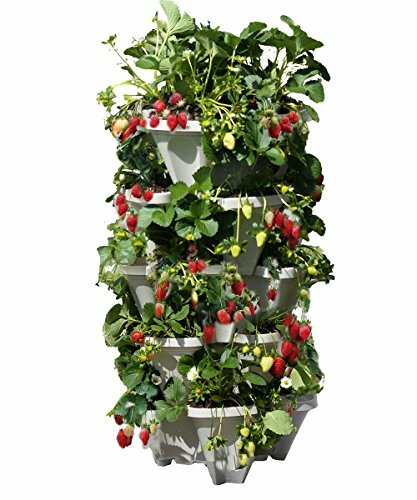 One of the most popular hydroponics farming is tower gardening where people grow crops in vertical gardens. The towers, which use water, nutrients and motorized pumps, are ideal for the growth of herbs, vegetables, weed, fruits and flowers among many other kinds of crops. The system takes very little space, which is one of the reasons people like it, the towers come with several residential units that house the crops. Majority of hydroponic towers are portable, compact, efficient and very easy to use. If you are thinking that because they are towers ad cannot produce as much as growing crops on the ground would, you are wrong because this method of farming gives just as much produce as the soil or other methods would. Sometimes the yields are even better and the crops look healthier. Besides the high yields, HYDROPONIC TOWER growing transforms the place to look beautiful and to smell nice because of the rich foliage of the crops. 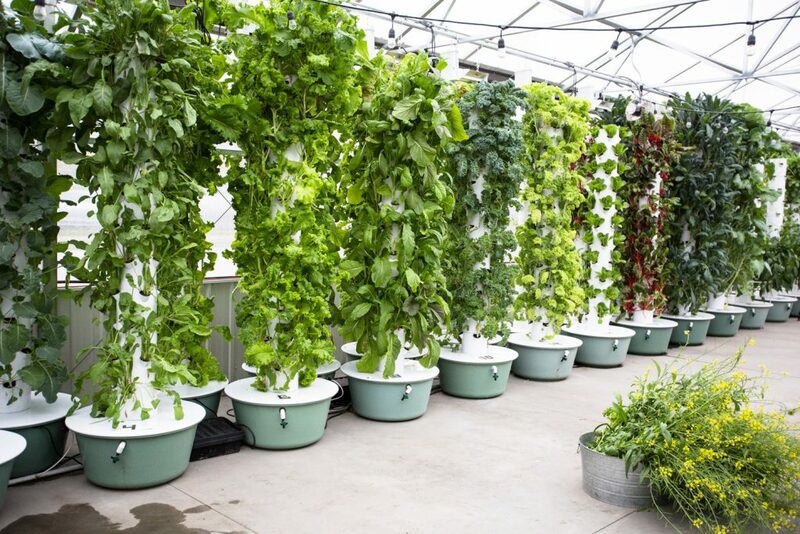 Mostly used outdoors within the home compound, hydroponic towers stand upright and tall which makes it easier to monitor the crops and to harvest. 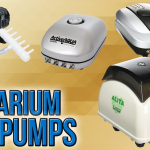 Below we look at some of the best hydroponic towers in the market. Mr Stacky is one of the leading manufacturers of gardening towers. 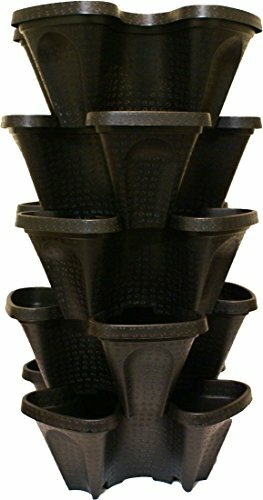 The large 5-tier vertical tower comprises of s black stackable hydroponic planters made with durable food safe polypropylene material. The tower designed for both indoor and outdoor use keeps the roots shielded from light and algae from getting into the plants. The 24 QRT tower measurements vary between 12x12x25 and 13x13x26. It has a flow through design that protects the plants from over watering diseases and root rot. For people that want to have a vertical garden without the need of an automatic timer on their system, then they can use the quality HGTC Vertical Hydrogarden Deluxe Planter Kit by Grow up. The kit uses only 4sq ft. of the space you have set aside and it can grow up to 20 plants. 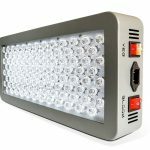 The hydroponic kit works well both indoors and outdoors. 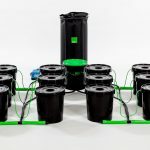 Included in the kit is a submersible pump, 5 stackable gardening pots, plumbing, reinforced lid, 20-gallon reservoir and 4 9-litter bags of growing medium. The kit also includes 1 QTR. of nutrients to help with the drop growth. 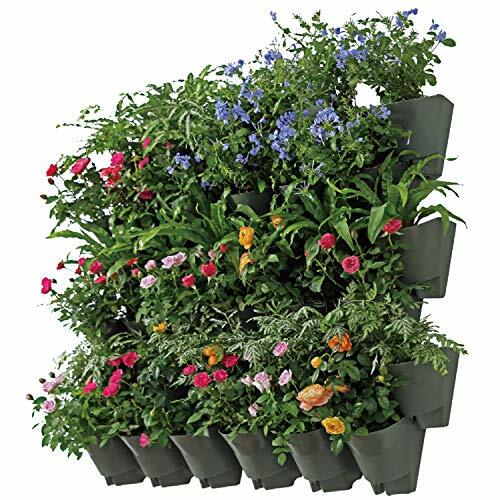 Benefits of the Vertical Deluxe Planter Kit are you will never have to worry about weeding your plants, no pests, you can grow your crops in doors and not worry about any mess, you can plant all year round and it occupies very little space, it is easy to assemble and it is very affordable. The kit is compact and portable and it comes with everything you need for 20 plants. 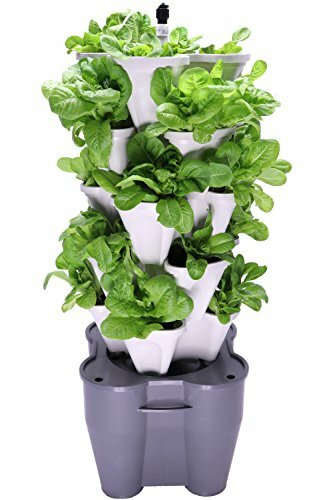 Many of the vertical gardening towers use soil for growing crop but there are few vertical towers for hydroponic gardening and one such good example is Mr. Stacky 5-Tier Vertical Gardening Tower. 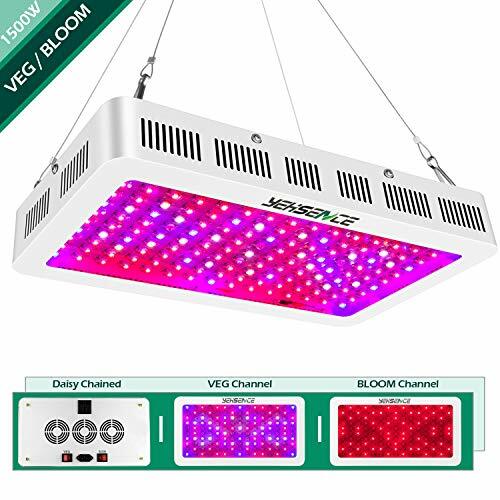 The only difference and something you need to take into serious consideration is that some of the hydroponic vertical towers do not come with timers or pumps therefore they need skill to grow the crops. The tower, made from food safe polypropylene saves water, space and allows for efficient growth of your hydroponics plants. 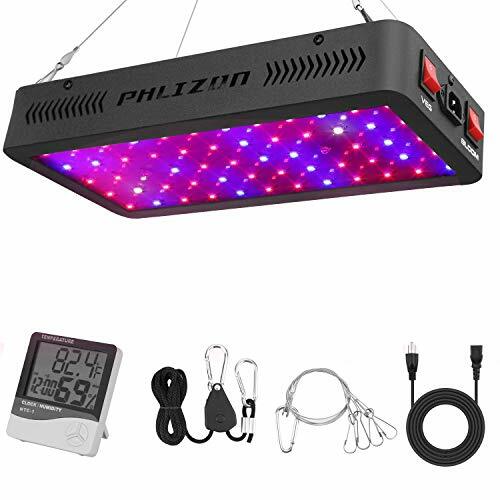 You can use it both indoors and outdoors and it is ideal for crops such as herbs, flowers, vegetables and weed among others. On each layer of the tower, is a water reservoir which makes it even easier to grow your crops because there will be no crop over-watering. The tower includes 5 stackers with 20 planting locations and a bottom drip tray that ensures the place stays messy free. Have fun growing your weed in a self-contained system that comes with other amazing benefits. I am talking about the revolutionary vertical self-contained garden tower, which takes home gardening to a completely new level. The system, which uses potting soil rich in nutrients, enables the plants to grow efficiently looking healthy with more yields. You can plant up to 50 weed plants or any other plants you wish to plant vertically in a minimal footprint. This method of growing the plants eliminates weeding loss of nutrients and use of electricity power. The system also ensures that there is no water loss commonly associated with conventional gardening methods. The tower occupies 4 square feet of the space provided and vermin composting fuels the growth of the crops. By using this tower, you will harvest fresh food free from PVC, BPA, Polycarbonates, Phthalates, Pesticides, Herbicides and many other contaminants. The eco-friendly gardening tower is eco-friendly and saves you tons of money. Grow your favourite crops hydroponically indoors without worrying about them lacking anything. Besides harvesting the freshest and most healthy looking crops, indoor gardening also adds a certain beauty to the room because of the foliage and the crop aromas. 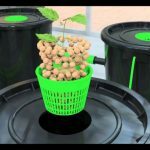 One of the best systems to use for indoor hydroponics gardening is the Foody Vegetable Support Tower. The system is ideal for climbing plants such as cucumbers, tomatoes lentils, beans, herbs and okra among many others. It is also great for other crops such as cannabis lettuce, cabbage and spinach among many others. The system comes with an in built automatic water level sensor that softly chimes when the level is low. You can grow your crops in the medium form scratch or transport seedling to continue growing there. The system occupies a space floor of 8”by 20” and its height is only 40” inches tall. The complete kit includes a growing medium, climbing frame, and fertilizer. It is easy to set up and just as easy to use. This soil patented vertical garden made in east Tennessee comes with 30 planting pockets that you can use to plant various crops. You can use the tier for vegetables flowers, herbs, some fruits such as strawberries and weed. You can also plant larger crops like zucchini, tomatoes, peppers and corn. Made from high quality UV-resistant and thick PVC free plastic, the 5-tier garden planter is portable, maximises your garden, adds height and beauty to your room space and is easy to use. You can use the planter as a tower as a stack or a non-stack. You do not have to worry about the infestation of pests or over watering your crops. Every tier holds a cubic foot of potting mix and each tier comes with 12 drainage holes. You can also use the planter for organic gardening. Included in the system are 5 planters each with 6 planting pockets, 4 grey watering disks, an instructions manual, and 1 top water reservoir. Use POTTING SOIL for your gardening for best results. 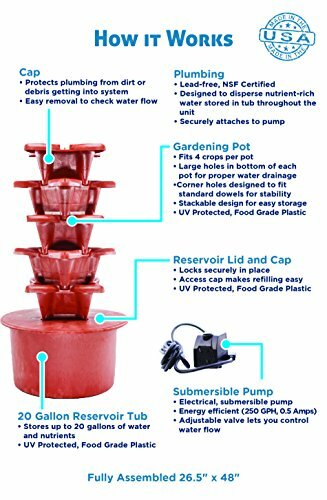 You want to have stress free gardening, just fill up your greenstalk 5-tier garden planter with water and watch as the water flows from the top reservoir distributing water equally in every tier as it feeds your crops. The texture of the soil will tell you when you need to add more water. The tower is durable and crack free. A tower garden comes in very handy especially when you have limited space and want to plant as many plants as you possibly could. The market has a variety of hydroponics tower gardens and it is essential to understand what you want for efficient gardening. Below are some of the factors to consider before you go buying your next tower garden. The material of the tower garden is very important as it contributes to the wellbeing of the plants. A good tower garden is made from BPA-free and UV stabilised material. The material should be high quality food safe plastic, compliant with the FDA guidelines. The best hydroponics tower has an opaque material that keeps the light from penetrating into the plant roots and the soil or water. 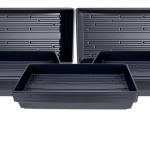 This ensures that no algae gets inside the planters, keeping the plants happier, healthier, fresh and clean at all times during their growing period. A good material also ensures that your tower planter enjoys a longer life and many seasons of growing your best crops. Depending on the space available and the amount of crops you want to grow, you should take the dimensions of the tower seriously. Majority of the towers occupy space floors not exceeding 6sq. ft. some also come with reservoirs that hold 20 gallons of water and stand at anything from 20 inches to over 80 inches tall if it has an extension kit. The taller the tier, the more plants it can hold. You can have as many towers as you want in a very limited space. The number of plants you want to grow will also determine the kind of tower planter you will buy. Majority of the tower plants come with pockets for 29 plants. Others have pockets for 30 plants while those with extensions can accommodate over 80 plants. If you want more than 20, you will need to buy a larger tower planter; several tower planters or you get an extension for your tower planter. The good thing with hydroponics tower gardens is that you can plant anything you choose to plant apart from root crops. the kind of crops that do well with tower gardens are herbs weed, strawberries, vegetables, tomatoes and flowers among many others. Knowing what you want your vertical tower for will help you in choosing the correct one. A vertical tower should come with an easy set up that anyone can use with ease. Check if the tower comes with a timer in case you are using glow lights and check if the hydration system is okay. A good tower should be cost effective and use as little electricity as possible saving you on monthly bills. The accompaniments should also make the tower user friendly so make sure your planter has all the things it should have for growing your crops. These may include water reservoirs, number of pockets, automatic water level sensors, bottom drip trays and number of stackers. Majority of the vertical hydroponic towers also come with nutrients on purchase. Majority of the vertical tower planters do well either indoors or outdoors. If you are going to use your tower indoors, make sure you go for an attractive design that will compliment your home furnishings and deco. An elegant tower adds to the beauty of the home and once the crops foliage starts sprouting, the whole place gets a new transformation. Once you have your vertical tower, you should consider the following factors before you start growing. The space where the crops will grow should have sufficient airflow both indoors and outdoors. With the indoors plants, you can use fans to help maintain good airflow in the room. Some of the most advanced vertical towers have their own oxygenating features. Different kinds of plants need different pH levels to control their acid levels. It is therefore necessary to have adjusters ready to check the levels before you start your hydroponics growing. 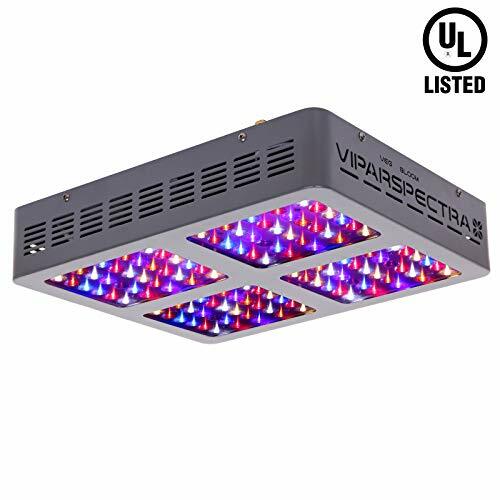 Choosing the best vertical hydroponics tower for your growing is not hard if you know what you want. VERTICAL HYDROPONICS towers come with many benefits and they make farming fun and stress free. Hydroponic growing has faster growth of crops as compared to other conventional methods of farming. What is even better is that majority of the towers are compact and portable and you can enjoy the yields from the crops as well as the beauty they add to your home space. 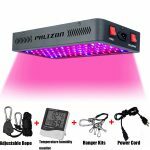 We hope this article was helpful and with the products named above, you will enjoy vertical hydroponics tower gardening. Advanced Platinum Series P300 Review: An Analysis Worth Reading!